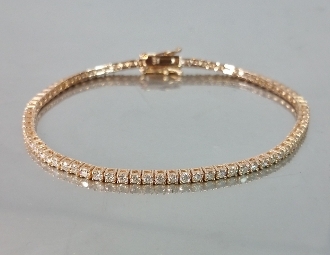 This stunning tennis bracelet is set in solid 14 karat rose gold and brown diamonds. Total diamond weight is 2.48ct. You may request any size 6-8.5.